Due to my busy after work schedule (yoga on Monday, dancing on Tuesday, tennis on Wednesday) I often find myself eating dinner after 8pm. By this point I am aware that I don’t really need a big meal full of carbohydrates as all it is going to do is sit in my stomach all night! 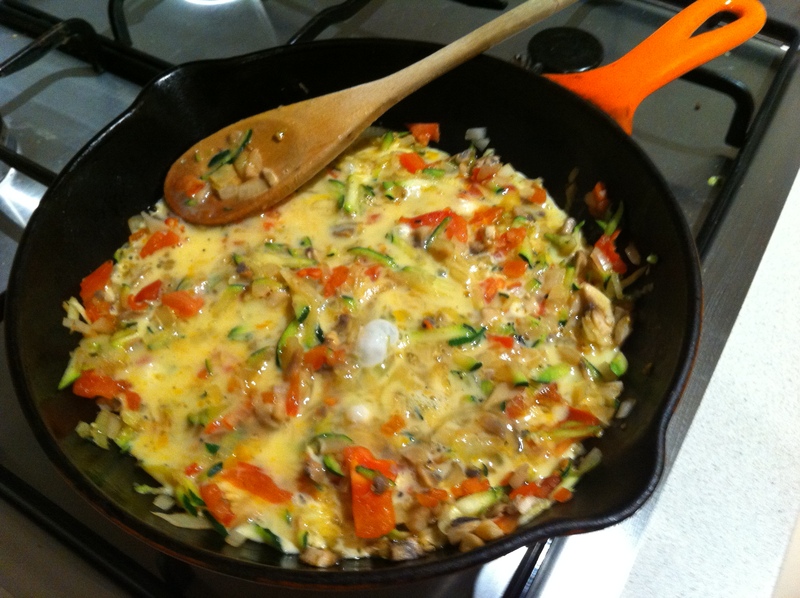 I have therefore found a quick and easy meal to cook up, a one egg omlette with onion, tomato, mushrooms and zucchini. 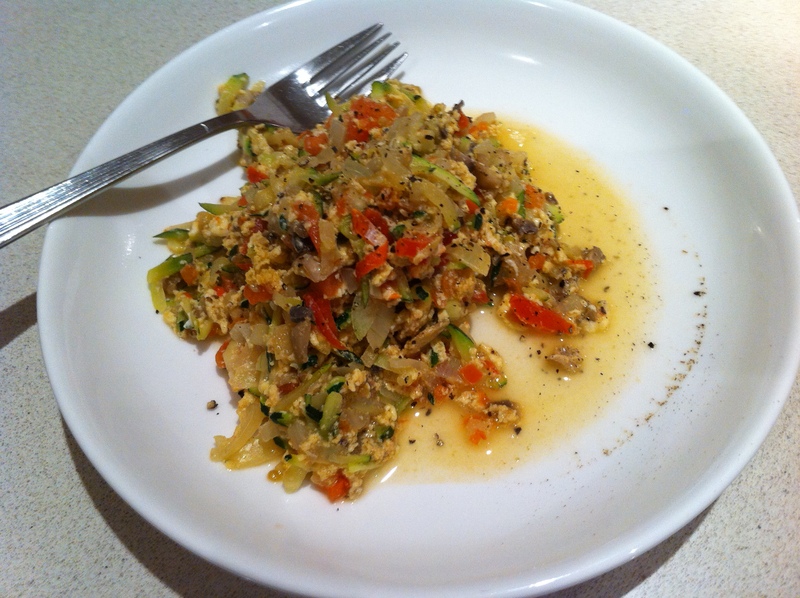 You could adapt this omlette by changing the vegetables you use, basically the key is to use one egg to provide enough but not too much protein.I always seem to put too many vegetables in it and it therefore doesn’t turn out like an omelet as such but it tastes great! 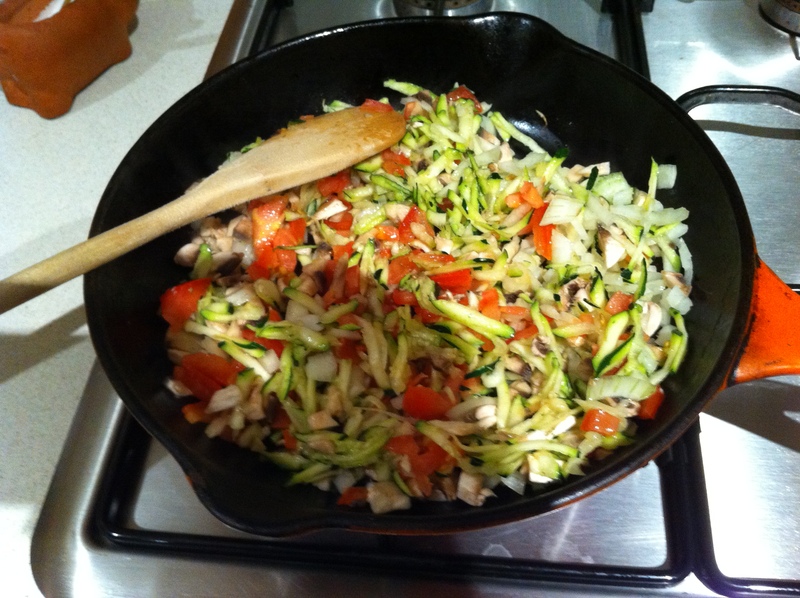 What is your favourite late dinner?